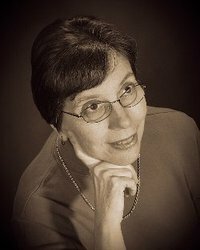 She is a former editor Mary J. Nickum is a retired librarian, who is now an editor and freelance writer. Her primary focus is on science for the public. She has chosen to extend her science for the public outreach to children. To ask Mary Jo Nickum questions, please sign up. Has your experience as a librarian helped your writing? Mary Jo Nickum Yes, it has, especially when doing research. I can use more reference sources. Knowing where to look is often more than half the battle. Mary Jo Nickum I set my work aside for a couple of days and go back to it later. Please go to http://authorsexpresspromotion.blogsp... and vote for me, your favorite author. We’d love your help. Let us know what’s wrong with this preview of The Mueller Report by The Washington Post. We’d love your help. Let us know what’s wrong with this preview of Artisan of Rome by Ken Farmer. We’d love your help. Let us know what’s wrong with this preview of Scrivener of Rome by Ken Farmer. We’d love your help. Let us know what’s wrong with this preview of Wanderer of Rome by Ken Farmer. We’d love your help. Let us know what’s wrong with this preview of Champion of Rome by Ken Farmer. We’d love your help. Let us know what’s wrong with this preview of Pax Romana by Adrian Goldsworthy. We’d love your help. Let us know what’s wrong with this preview of The Sword and the Throne by Henry Venmore-Rowland. A discussion about cats and books about them. Now that the giveaways are over and the book has been out for 10 months, how do I get readers to visit my page on Goodreads? I have a blog that doesn't seem to draw readers. Any suggestions? Thanks, Don. I'll check your website. The ebooks sound interesting! Thanks for the friend request. I'd be honored if you'd check out my work at My Website. You can download any or all of my ebooks for free. I think you'd find All the Voices of the Wind very interesting since it deals with science.